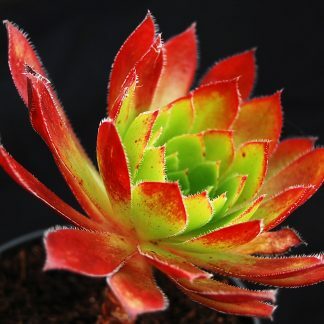 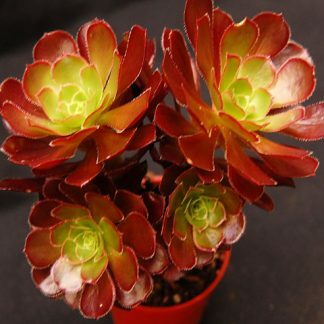 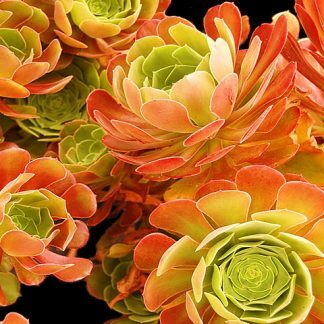 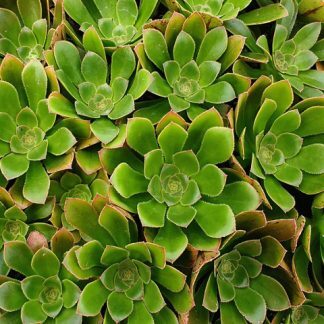 Aeonium ‘Cyclops’ is a really fantastic U.S hybrid with a large dark rosette with a green margin that grows to 40 cm diameter with a single stem to over 1m in height. 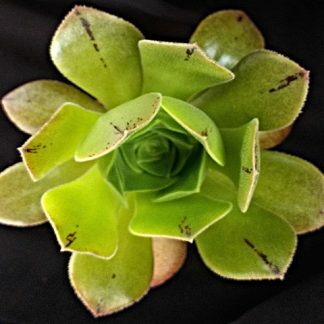 It can be pruned to branch. 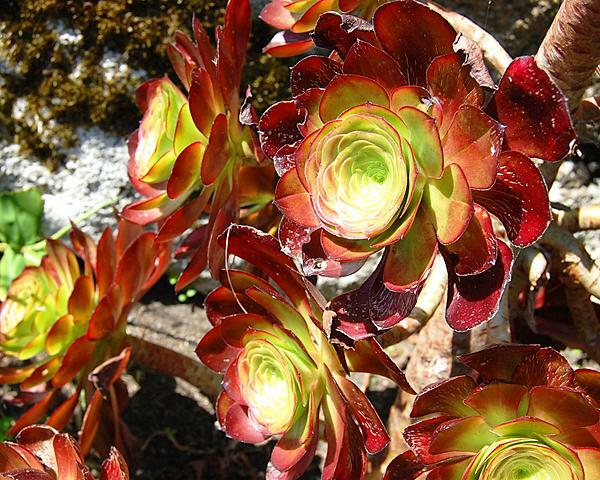 We have also found it to be a particularly hardy cultivar, tolerating outside exposure to -7C.